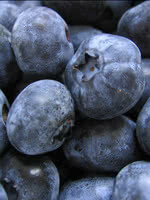 Blue Crop Blueberry is a high yielding, commercial highbush blueberry variety that is widely planted. If you're lucky enough to live in a suitable climate zone, Blue Crop Blueberry is a great choice. Its very large berries taste amazing. They are very firm and store well. While this variety is self-pollinating, we recommend pairing Blue Crop Blueberry with Elliott Blueberry to increase the berry production of both varieties. 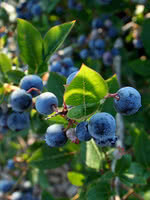 You must prune Blue Crop Blueberry to maintain its health and productivity. Note: Blueberries require very specific soil conditions. They need well-drained soil with a pH between 4.5 and 5.0. If the starting pH of your soil is between 5.1 and 6.2 you can lower it by adding sulfur. We recommend against planting blueberries in soil with a starting pH greater than 6.2. Please do your own research before buying any blueberry plants. Greenhouse grown. Sorted for size and form. These large 1 quart pots will give your blueberries a vigorous head start!